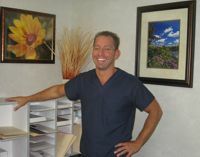 Dr. Lepenven received his Dental Degree from the University of Pennsylvania in 1993. He completed his general practice residency at the Veteran's Administration Medical Center in downstate New York in 1994. Originally from the Boston area of Massachusetts, Dr. Lepenven attended undergraduate school at Clark University in Worcester, MA. Dr. Lepenven has maintained a private practice in the LaSalle area of Niagara Falls for 15 years. He has enjoyed establishing many friendships over this period of time, and looks forward to similar success in the future on Grand Island. Dr. Lepenven has lived on the island since 2002 and has come to appreciate the uniqueness and beauty of the island and river environment. A nature enthusiast, Dr. Lepenven enjoys spending his personal time being outdoors as much as possible. 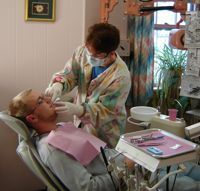 Dr. Lepenven participates continuously in advanced professional education to learn the most current techniques in dental treatment. We believe it is important to create relationships. You will notice immediately upon entering our office that both Dr. Lepenven and his staff feel honored that you have chosen to trust us with your care. Our staff takes pride in making our patients more than comfortable in the dental environment. It's an approach that makes our daily experiences more meaningful and fulfilling. We routinely strive to anticipate the needs of our patients even before they are expressed. We are inspired by getting to know our patients and helping them with their overall health. We feel lucky to be in this position. Our office manager/dental assistant, Holly, joined our team in 1997. She has been a New York State licensed dental assistant since December 1998. She became a National Board Certified assistant in 1995. From 1998 through 2003 Holly taught the N.C.C.C. 's Dental Assisting Program to which she also provided full administrative support. Holly keeps her dental and front office knowledge up-to-date by completing 12-24 hours per year of continuing education by either attending classes or completing correspondence courses. She is also well acquainted with many of the dental insurances that are available and does her best to help patients understand the ins-and-outs of his/her particular dental plan. Holly truly enjoys working with our patients whether it's calming a person's fears, celebrating a milestone, or coordinating and maximizing a patient's dental benefits. Her goal is to make visiting our office as stress-free and enjoyable as possible.